Graduating from the Faculty of Electrical Engineering at the University of Ljubljana, Aleša Mižigoj has taken the path of business and management with her first job. In 1993 she started her own company, and in 2000 she took the position of the sales manager for Medex. Her responsibilities at that time were sales and marketing on domestic and foreign markets; however, by the end of 2001 she was promoted to the chair of the board. Her management has brought Medex to the leading position among natural food supplement producers in Slovenia and Central Europe. In 2006, the company won the D&B Rating of the Year Award, and is still one of the Top 50 Slovenian companies today. Medex has gained the reputation of a reliable and quality partner, and the Medex trademark has become one of the most renowned and trustworthy trademarks in Slovenia, former Yugoslavia, Italy and beyond. The Medex trademark has also been awarded the Superbrands title several times, and is continuously present among the most trustworthy trademarks. Since Aleša Mižigoj’s management, Medex has continuously expanded the assortment of products as well as the business on foreign markets; however, the main development and production drive continues to meet the needs, wishes and demands of contemporary society and the changing way of life. Pioneer products in the field of apitherapy, many of which are traditional products in every family’s medicine chest, are complemented with various and numerous natural, safe and high-quality food supplements, based on bee products and other natural products. The company has turned to innovation, and the products are a result of new discoveries, knowledge and experience; but the inspiration for Medex products will always be nature, tradition, the world of hardworking bees, and above all healthy and satisfied customers. Aleša Mižigoj is proactive in supporting women in taking an active role in business and society. She also participates in humanitarian and philanthropic activities. Being a mentor to young business people, Aleša shares her knowledge and experience with younger generations – just like Medex does. 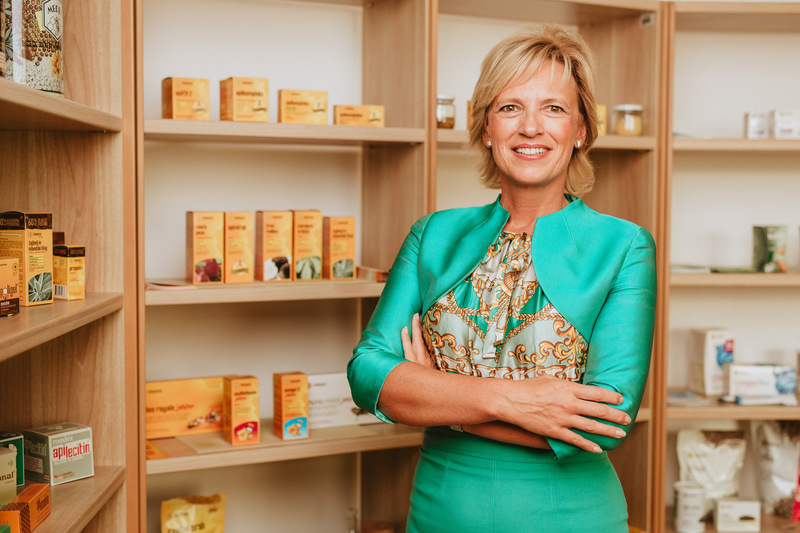 She is the AmCham Vice President, a member of the Council for the Protection of Bees (Svet za zaščito čebel), and the President of the Council for Promotion of Agricultural and Food Products (Svet za promocijo kmetijskih in živilskih proizvodov). Since 2011 she has held the position of the honorary consul of Canada in Slovenia.